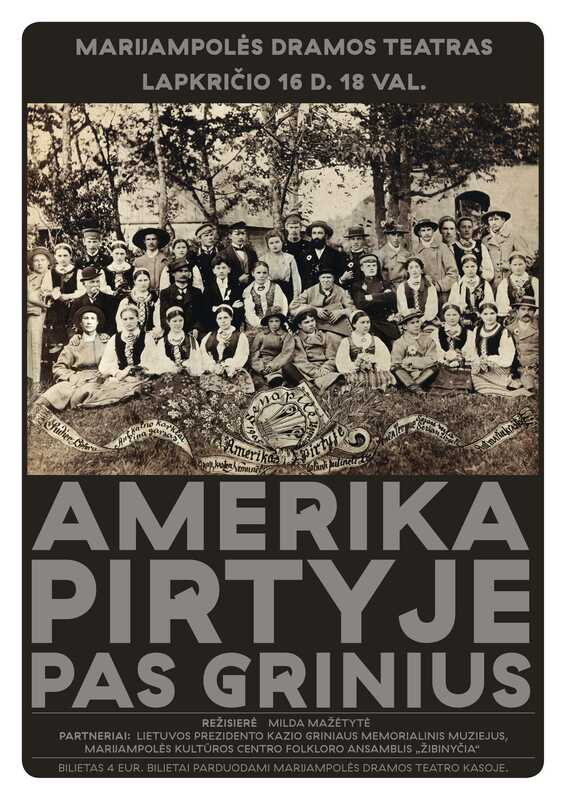 The play „America in the sauna at Griniai“ will move to the very start of the 20th century of Marijampolė, to the home of the president Kazys Grinius and his wife Joana Pavalkytė Griniuvienė. Their home was the center of culture and lithuanian. The play was created by the authentic memories of Kazys Grinius. Those memories reveal the rehearsals of lithuanian evening and the scenes of the comedy „America in the sauna“ by Vikutaitis-Keturakis.